While sketching Montreal, I could not help but to include that special shade of orange that pops up everywhere. 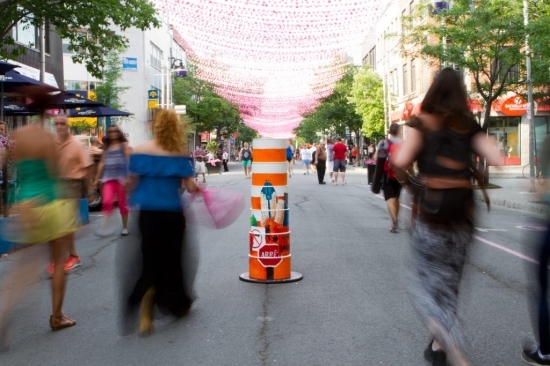 And to take that obsession with construction to the next level, I came up with the Orange Cone project, that has been evolving for over a year and this year I am presenting a next version of Orange Cone MTL installation at Sofitel Montreal Golden Mile starting July 20th, 2016. 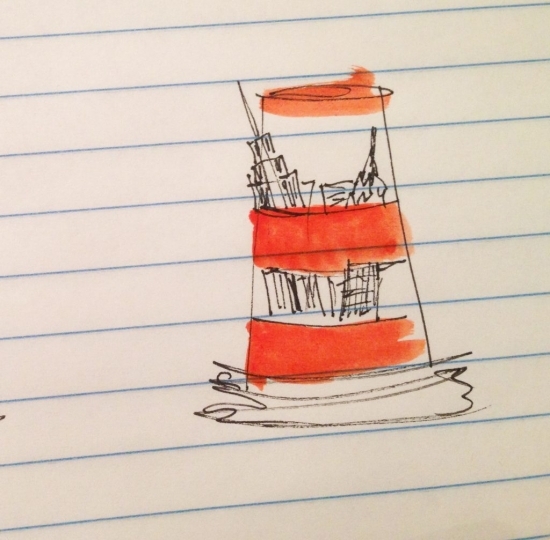 It all started in the spring of 2015, when I won the contest by Studio Beluga with my idea of creating an orange cone sculpture with cities sticking out of it. Here is the original sketch.. 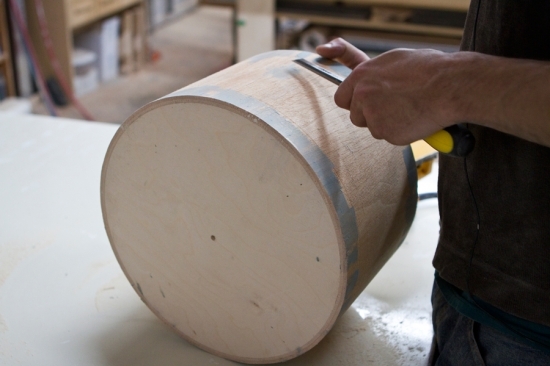 The work continued at home. And finally the big exhibit “Maintenance” Possible Dimensions by Studio Beluga and Faux-Cadres Canal at Galerie C.O.A. August 2015. “Olya Krasavina’s wry illustrations bring the viewer into the joke, uttering a sarcastic: “Thank you!” to the ubiquitous orange warnings that litter the modern human landscape. In the airy, immediate style of illustration and cartooning, she summons the memories of frustration and irritation to the front of the audience’s mind, and disarms it as quickly with a laugh of sympathy, empathy, and resignation. But story does not end here..after spending a long cold winter in the living room, Orange Cone got a make over and now ready to present himself again for another exhibit”MAGNIFIQUE CON(E)STRUCTION” at Sofitel Montreal Golden Mile starting July 20, 2016, the first day of Construction holiday in Montreal.